My mother collects Coca-Cola items, so I always have a theme to work with when making or buying her anything. I tell her that her house is like a Coca-Cola museum. She gets away from the Coca-Cola theme a little in the kitchen with a strawberry theme. Her kitchen is small, and with space a limitation, I sometimes feel like I’ve run out of strawberry ideas., but recently I made this really cute jar of strawberries that she can just set on the window sill above her sink. I had found these ceramic strawberries at a yard sale a couple of years ago and I’ve been holding them until I got inspiration for just the right project to use them on. The jar is actually a pickle jar from some specialty pickles we bought recently. I just placed the strawberries inside, put the lid on, and added a square of fabric (Coca-Cola fabric) and a red ribbon to finish it off. It doesn’t get any easier than that!!!!! 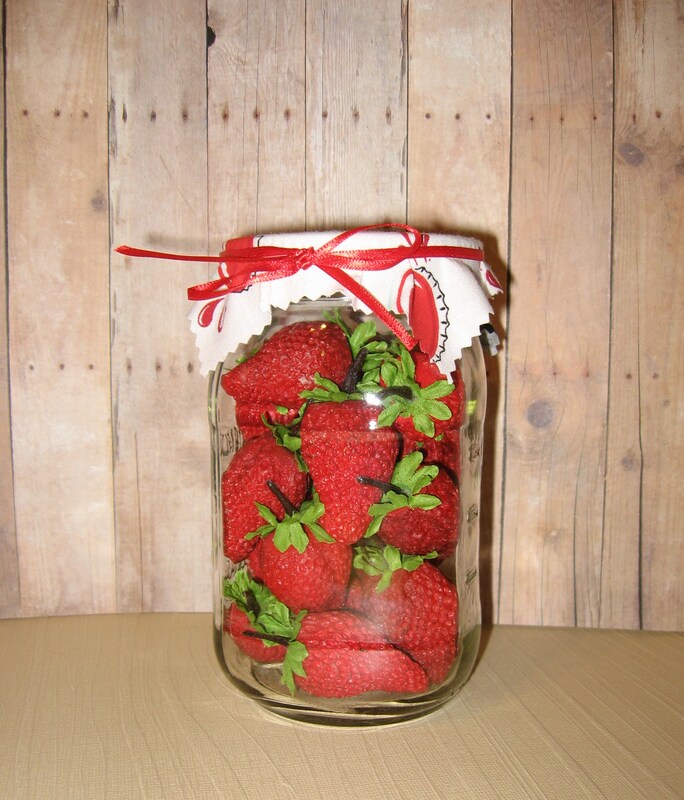 This entry was posted in General Crafts, Uncategorized and tagged canning jar, Coca-Cola, strawberries.